This level is almost same to some previous levels and have 17 blockers and 9 jellies are in middle of them. To complete this level first break blockers then you need to play more with candies near to blockers and jellies. 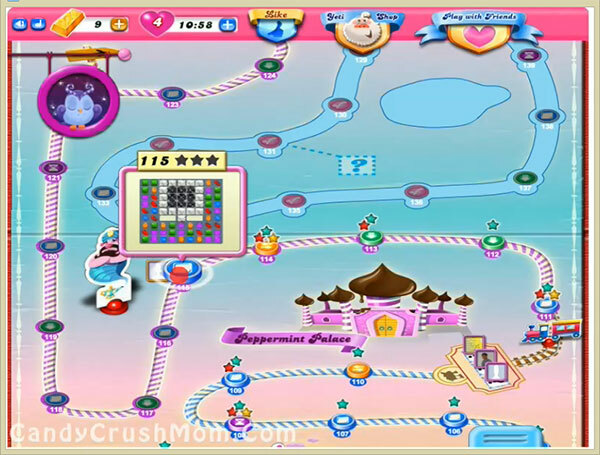 Plus try to make special candies to break some jellies and blockers that are in top of board which are hard to break. You shouldn’t waste moves and try to stick with strategy to reach requirement. We completed this level with 28780 score within all moves by breaking candies near to blockers and jellies plus use some special candies combos.